We're still getting rain here in Phoenix. A storm came through last week and left us some of the welcome wet stuff. Spring is busting out all over on the desert, which you can see by this week's photo. This is brittlebush, and after plentiful rain in the winter, the slopes of the Superstition Mountains along the Apache Trail turn to gold from their blossoms. It is a beautiful sight to see: acres and acres of bright yellow flowers covering the mountainsides. 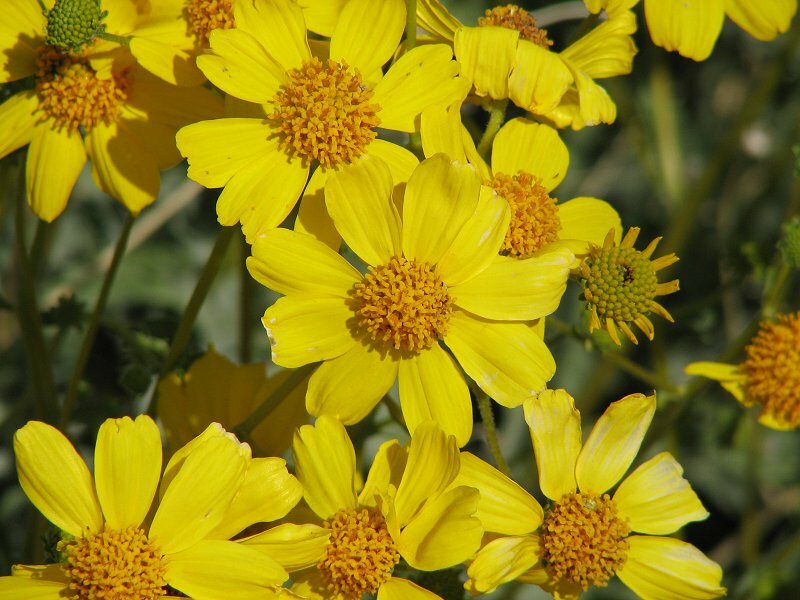 It's called brittlebush because of the brittleness of its stems, and one of its Spanish names is incienso because its dry sap was burned by early Spanish missions as incense. It's just now occurred to me that yellow flowers are my favorites. Growing up in Illinois-- or traveling in the UK in spring-- daffodils were guaranteed to make me smile. Here in the Sonoran Desert, there are so many yellow springtime flowers that just looking at them make my toes curl. For any of you who are wondering how my afternoon meal with authors Paige Shelton, Laura Bradford, Lynn Cahoon, Chevy Stevens, and Linda Castillo went... well... it was fabulous. Shy, introverted me needs to make suggestions like that more often when attending events at The Poisoned Pen! Enough chin wagging! 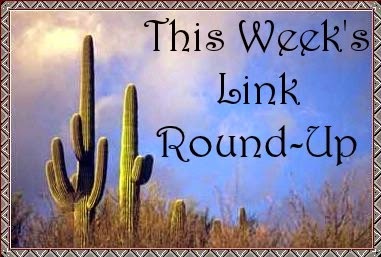 It's time to head on out to the corral for all those links I've been saving for you. Head 'em up! Mooooooove 'em out! The scandalous flap books of 16th-century Venice. Why did the Vatican remove fourteen books from the Bible in 1684? The lost art of painting on cobweb canvases. Neuroscientists are unlocking the secrets of memory champions. Researchers have hit a roadblock in their attempt to identify the last known victim of Jack the Ripper. The unsung delight of a well-designed endpaper. New research is changing our understanding of who built the ancient Silk Roads. A lost Spanish fort has been found in the Great Smoky Mountains. Archaeologists have found a pyramid-shaped tomb in China. California flooding has exposed veins of gold that have been hidden for two hundred years. Archaeologists have discovered a treasure-laden shipwreck which dates from the Crusades. An entire pack of wolves has gone missing in California. Olly the rescue dog wasn't Best in Show at Crufts, but no two- or four-legged creature can match him for sheer zest in living. What an absolute sweetheart! A stone cottage devoted to books in the English countryside. An Indian village plants 111 trees every time a girl is born. A Scottish castle and Jacobite hideaway is on sale for less than £1 million. As a girl, Merryl H. Tisch spent time in the library. Now she's giving it $20 million. At the age of five, Edith Fuller becomes the youngest to qualify for the National Spelling Bee. David Kirkpatrick, the World War II "mad" Scots piper remains a hero in Italy to this day. They didn't teach you these facts about Queen Elizabeth I in history class. Ranking the twenty best Westerns of the 1960s. Michelle Dockery's ten favorite books. This tattoo test will determine what book you should read next. From 'alibi' to 'mauve': what famous writers' most used words say about them. The personal libraries of some favorite authors. That brittlebush is lovely, Cathy! You take wonderful 'photos, too. Now, if you'll excuse me, I'm off to China to check out that pyramid. Pyramids aren't just for Egypt anymore!